Gearóid Fahy today pleaded guilty to the murder of his 78-year-old grandfather Finbar in Galway. A 24-YEAR-OLD MAN has been sentenced to life in prison for murdering his grandfather in Ardrahan, Co Galway. Gearóid Fahy, from Ardrahan, today pleaded guilty to the murder of 78-year-old Finbar Fahy. 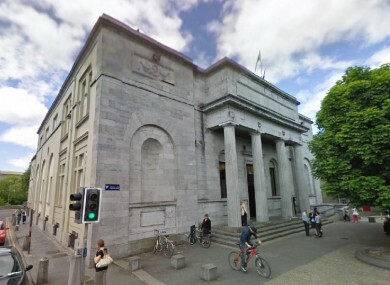 Gearóid Fahy beat Finbar over the head eight times with a nail bar in November 2009, the Central Criminal Court in Galway heard. The young man later told psychiatric nursing staff: “I did it, I killed my grandfather.” Detective Inspector Gerard Roche told the court Gearóid Fahy believed his grandfather was transferring family land out of his father’s name, but in fact he was simply putting his affairs in order. Email “Young man beat his grandfather to death with nail bar”. Feedback on “Young man beat his grandfather to death with nail bar”.